With cloud becoming the deployment platform of choice for data pipelines, many IT organizations must now come to grips with what that means for planning, budgeting, migrating and operating big data in the cloud. Trying to make accurate, informed decisions about deploying data pipelines to the cloud is getting trickier and goes well beyond to-do lists and spreadsheets. IT organizations need a data-driven approach that neither buries them in semi-relevant detail, or oversimplifies the process. Assessing, planning, executing and validating a successful migration of data workloads to the cloud. Mapping resource requirements for data pipelines, from physical servers in the data center to the ideal cloud server instance types. Baselining application performance and dependencies, and selecting candidates as initial migration targets. How Unravel applies full stack visibility, analytics and AI-powered automation to help data teams address these challenges. Key considerations for maximizing the business and operational impact of workload migration. 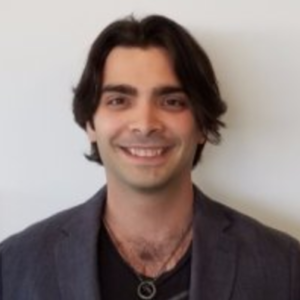 Alejandro Fernandez has 10 years as a software engineer and 4 years in the Hadoop ecosystem. He's currently at Unravel Data building products to help Hadoop users migrate data to the Cloud. Previously, he was at Hortonworks for 3 years, where he became a PMC for Apache Ambari and contributed to features like Rolling & Express upgrades. He then joined Airbnb's Data Infrastructure team while working on Hadoop security, Apache Airflow (incubating) and Hive. He has spoken at major conferences like Dataworks Summit in San Jose and Melbourne, and at the Apache Big Data conference in Miami. He graduated from Carnegie Mellon University, where he got his Bachelor of Science in Computer Science and additional major in Mathematics.